Toshihiro Nishiguchi, Professor Emeritus of Hitotsubashi University, has won the Tadao Kiyonari’s JASVE (The Japan Academic Society for Ventures and Entrepreneurs) Award, in addition to the Shoko Research Institute’s (SRI) prestigious Annual Award for Outstanding Studies on Small Business received earlier this year. The JASVE Award is offered to an outstanding book and a journal article that achieve excellence in small-business and entrepreneurship research. 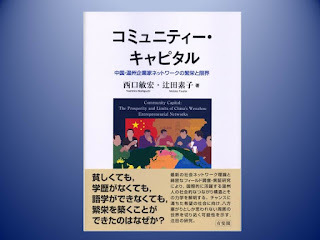 Professor Nishiguchi’s new book, titled Community Capital: The Prosperity and Limits of China’s Wenzhou Entrepreneurial Networks (in Japanese, Yuhikaku, 2016, 458 pp., coauthored with Professor Motoko Tsujita), has won the JASVE’s Book-section Award. 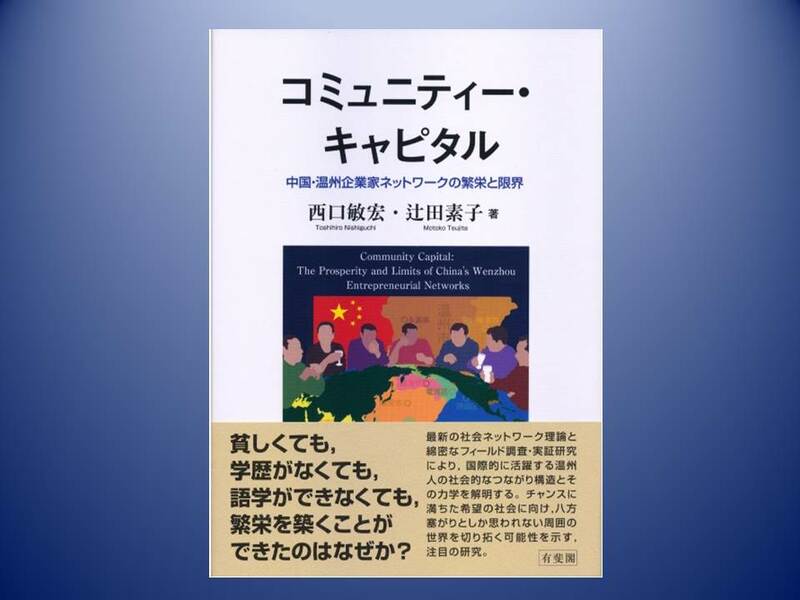 A product of twelve years of research, hundreds of field visits, and more than seven hundred interviews with Wenzhou and other Chinese entrepreneurs in nineteen countries, including China, Japan, Europe, and the United States, this book brings original insight to the institutional and economic development of a community-based entrepreneurial system that has enabled Wenzhou firms to outperform their competitors in key markets of daily goods worldwide. Based on the principles of imprinted commensurate trust and quasi-ties among them, their distinctive system, analyzed closely in terms of their exclusionary community capital, drives them toward continuous advantage in starting up and growing small, private firms, building their own networks of suppliers and distributors, offering financing, and establishing reliable business norms. Community Capital reveals the compelling logic behind these relationships, to present a new socioeconomic account for economic organization that has profound implications for future performance of all industrial societies. This landmark work urges a fundamental rethinking of much received wisdom concerning Chinese competitiveness and is essential reading for serious academics and managers concerned with competing industrial systems.